Recent reviews of the scientific literature have concluded that moths act as pollinators for a wide range of plants in many different ecosystems, from tropical rainforests to Scottish pinewoods, and that the role of moths as pollinators has, to date, been underestimated and, therefore, undervalued. In the UK, there isn’t any clear evidence that moths play an important role as crop pollinators. Nevertheless, moths may play vital ecological roles as pollinators of many wild plants. Some plants are clearly adapted to nocturnal moth pollination, typically having white or pale coloured flowers that only open or produce nectar and scent at night. However, under cover of darkness, moths may visit many other flowers that have not evolved such obvious adaptations. Ivy blossom, for example, is a magnet for bees, flies and butterflies by day at this time of year, providing a wonderful source of nectar and pollen when most other wild plants have finished, and is equally attractive to moths at night. Indeed, this year’s Moth Night event, the annual celebration of moths and moth recording, is taking place on 12-14 October specifically to encourage people to search for moths on flowering ivy. A recent study of moths in the field margins of Oxfordshire farms found that 23% of the moths caught at night were carrying pollen from at least 28 different plant species, while 76% of nocturnal moths sampled in a Portuguese meadow carried pollen. So it seems likely that nocturnal moths are important pollinators in the UK and elsewhere, at least for plant biodiversity. Given this, there are two substantial future concerns about pollination. First, moths have declined. The State of Britain’s Moths 2013 report revealed an overall decrease in the total abundance of night-flying moths of 28% in Great Britain over a 40 year period and, an even more alarming decline of 40% over the same period in southern Britain. The distributions of British moths have also declined on average, as have moths in the Netherlands. Second, even if moth populations hadn’t declined sharply, the rapid increase in light pollution caused by artificial light at night may have severe impacts on nocturnal pollination. Callum Macgregor and colleagues recently found that streetlights disrupted the movements of moths in field margins. Among the ground vegetation, where pollination of wild flowers would take place, the abundance of moths was 50% lower and the species richness of moths 25% lower on lit versus unlit sections. This wasn’t due to an impoverished moth community in the field margins under streetlights, rather that moths were attracted upwards by the artificial light. The researchers found the abundance of moths flying overhead was 70% greater at the lit sites compared to the dark ones. The concern, of course, is the contribution of moths to plant pollination and, therefore, plant fertility may be reduced as a result. Last month, the first such evidence emerged in a paper published in Nature. The Swiss team found that both the abundance and species richness of nocturnal insect visitors (mainly moths but also some other insects such as beetles and earwigs) to flowers in Alpine meadows were significantly reduced (by 62% and 25% respectively) when LED lights were installed. Furthermore, they measured the impact of this reduction in night-time pollinators on Cabbage Thistle, a common wildflower in these habitats. The plant produced 13% less seed in the lit meadows compared with dark sites, even though the thistle flowers were still visited by numerous day-flying insects. 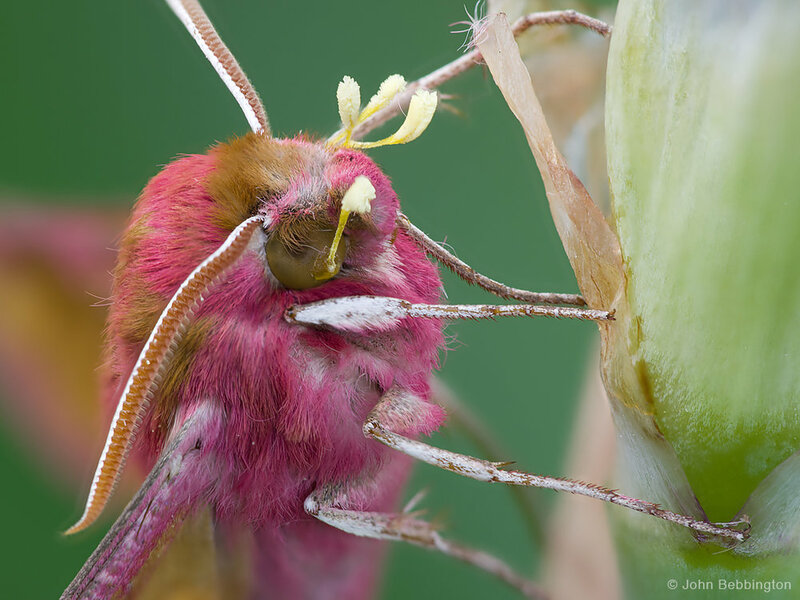 There is still a lot to discover about both the importance of moths as pollinators and the potential negative impact of light pollution on pollination, but the evidence is starting to mount up.